Ultra Fabrications provide commercial metal fabrications and maintenance services. Our workshop is located in the village of Greetland in Halifax. We operate across Yorkshire, providing maintenance and repairs services for industrial engineering companies. Each member of our team is fully qualified to undertake all types of sheet metal and steel fabrication work. We pride ourselves on our quality of work, our standards are never compromised. 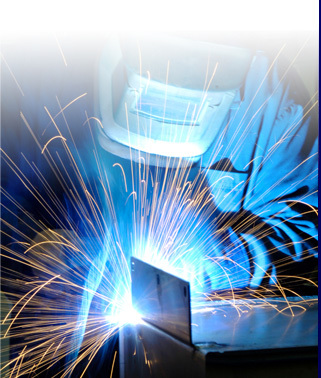 We have over 20 years’ experience with metal fabrication, welding repairs and construction work. We work closely with specialist engineers and construction engineers to complete your work on time and within budget. It’s our aim to provide high quality services and maintain close relationships with all our clients. We also provide security fabrication services and create purpose-built railings and gates for commercial and domestic properties. If your warehouse or industrial facility requires any type of ramp, cage storage or security grill, our skilled team will design and construct to your exact requirements.Contact us for more information about any of our fabrication, welding and maintenance services.